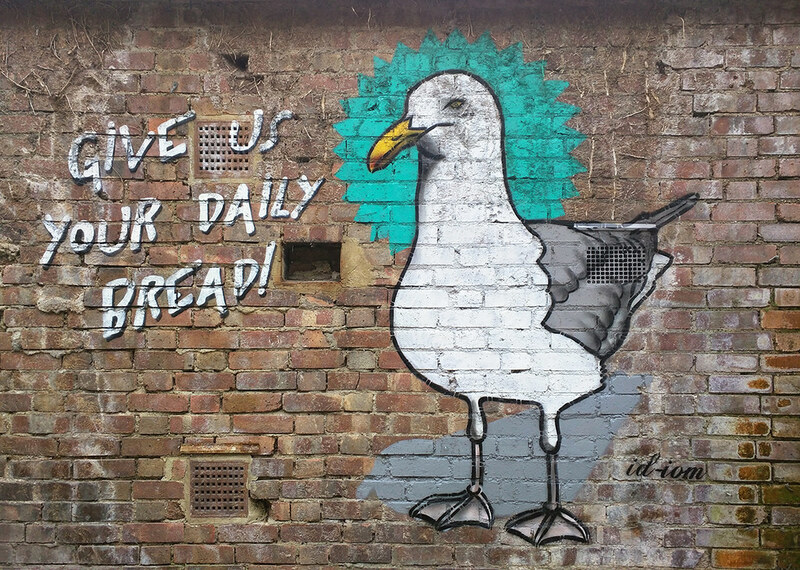 Give us your daily bread! Seagulls. They’re a noisy bothersome lot. But here at id-iom they hold a special place in our hearts. We originally hail from the Isle of Man and, like a lot of places near a coastline, we share our space with an inordinate number of the unruly beasts. Whilst this is nothing special in and of itself it has given us an excellent understanding of seagulls and their rather loutish behaviour. This piece was created as a warning to all those out there who are not ready for the attack. But it will come, oh yes, it will come. There you’ll be enjoying a sandwich on a sunny esplanade in any number of coastal towns when suddenly a shadow crosses your path but before the prehistoric part of your brain can react the seagull will swoop down stealing away with your tasty lunch and taking it to the nearest roof top to devour whilst screaming bird obscenities at you between gulped mouthfuls. You, bereft of your lunch will probably fall to your knees, cast your eyes up to the heavens and scream ‘Why me?’. Alas, it is already too late, this round goes to the avian yobs. All you can do is retreat in shame whilst keeping one eye on skies above in case he returns… You have been warned! Comments Off on Give us your daily bread!